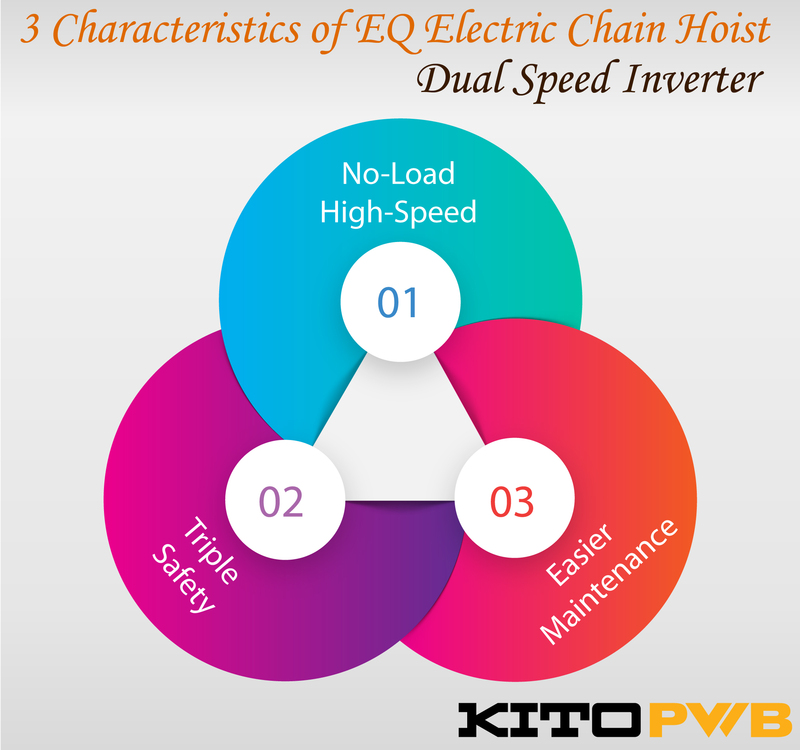 EQ Electric Chain Hoist with a dual speed inverter, manufactured by KITO, provides smooth transitioning and adjustable speed. 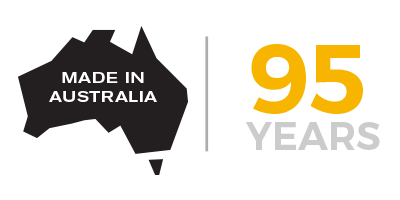 It has the lifting capacities ranging from 125 kg, 250 kg, 500 kg to 1,000 kg with 3 m & 6 m standard lifts. EQ Electric Chain Hoist with a dual speed inverter is equipped with a unique No-load high-speed function, come as a standard feature, which allows its hoisting speed, 1.3 times faster during no-load operation. When the no-load condition is detected by the inverter, this function is activated automatically to switch to high-speed operation, leading to improving the work efficiency with ease and safety. A triple-safety mechanism of EQ Electric Chain Hoist prevents accidents from excessive loads. It is incorporated with electronic overload limiter, friction clutch and upper-lower limit switch. When the electronic overload limiter detects overload with the inverter, shut off the current to the motor and stops operation immediately. The friction clutch idles the motor when subjected to an excessive load and prevents the hoist body and load chain from breaking. If a load is lifted or lowered excessively, the limit switch stops the motor and protects from damage to hoist. Connecting shaft mounted on the outside of the EQ allows a suspension-eye to be attached or removed with ease. Counter Hour meter is incorporated in the inverter as standard to carry out maintenance based upon the frequency of use.